Community radio stations could be given a guaranteed slot on future small-scale DAB digital radio multiplexes, under proposals from the Government. Following the success of 10 trial multiplexes in the UK, the Department for Culture, Media and Sport (DCMS) has launched a consultation seeking opinions on how small-scale DAB multiplexes can be licensed in the future, as part of a UK-wide roll-out, creating a third tier of digital radio multiplexes after national and local multiplexes. Many community radio stations currently do not have the opportunity to broadcast on digital because either there is not sufficient capacity available on the relevant county sized local DAB multiplex (some multiplexes - especially in urban areas - are already full of existing stations); or the costs of carriage on these local networks are too high (caused in part by the restrictive regulatory structure); or the geographic area covered by the local multiplex is too large compared to their own ‘core’ analogue transmission areas. Small-scale DAB uses advances in software technology and new transmission techniques to provide a more flexible and cheaper approach to transmission. It can also achieve more granular geographic coverage than existing DAB services, potentially making it more suited to the needs of smaller stations. To provide community stations the opportunity to broadcast on small-scale DAB, Ofcom would set reservations prior to offering small scale radio multiplex licences and would be able to vary the figure if there was insufficient 8 demand from community stations. Small scale radio multiplex operators would be able to offer unused capacity reserved for the community radio services (for example where a community radio station did not want to take up a reservation) for temporary services, but would be required to make this reserved capacity available to a community radio service(s) at a future point during the licence term, if needed to do so. Additionally, the proposals also suggest an introduction of new digital community radio licences: currently community stations on DAB have to apply for a standard digital sound licence. Existing national and local DAB multiplex operators would be restricted to a 50% stake in entities operating small-scale DAB in order to protect the new multiplexes from market dominance. In areas where a multiplex operator has an interest in both a national and local multiplex, that operator would not be allowed to have a stake in a small-scale DAB multiplex. The Government also sees small-scale DAB has an opportunity to bring local DAB services to areas currently without a local DAB multiplex, including Cumbria and the Scottish Borders, where it deemed commercially unviable. In areas where local DAB multiplexes exist, the small-scale DAB multiplex would be restricted in coverage to no more than 40% of the coverage area of the local DAB multiplex. Meanwhile, the BBC would be allowed to broadcast services on small-scale DAB multiplexes, but without any guarantee of reserved capacity. This would give the BBC the option to launch services, such as BBC Radio Cumbria on DAB in areas where the BBC does not have access to a local DAB multiplex. "The approach set out in this consultation is one which seeks to engage the wider radio industry and to stimulate interest from the commercial and community radio sector in setting up and operating new small scale multiplex services. However, we also want to stimulate interest in new DAB community stations and are consulting on a new class of Digital Sound Programme Licences for new community services that want to operate on the same basis as existing analogue community radio services. The approach is to allow community radio services to take part but to do so in a way minimises the regulatory impact and the requirements on Ofcom as far as possible. 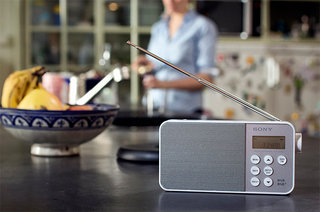 Our ambition is for small scale DAB to develop and evolve and provide a more flexible platform for a wider range of smaller stations to give listeners - and in the end this is all about listeners - a broader range of services and thus fulfilling the potential of digital radio and DAB as a platform. " Legislation permitting Ofcom to issue permanent small-scale DAB multiplex licences received Royal Assent in April 2017. Full details of the consultation and how to respond can be found on the gov.uk website.